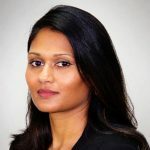 Aparna Jue is Director of Product, Honeywell Connected Enterprise – Connected Worker. Passionate about product with an eye for detailed differentiation, Aparna has been in the product space for 13 years in various capacities exploring, conceptualizing, and managing strategy, product vision and market roadmaps. Her background is in Electrical & Computer Engineer from The Georgia Institute of Technology with concentrations in Material Science. She has had the pleasure of starting and leading Product Management programs in companies ranging from global enterprises to startups. At Honeywell, Aparna is a part of the Connected Worker team leading Product Management. Connected Worker is focused on designing and building device agnostic, software based, digital tools for the deskless worker.